For quite some time, Jamie Oliver’s Italian in Cardiff has been enjoying “exclusive rights” to the area. With the opening of a rival Italian restaurant, however, the celebrity chef’s restaurant just might have to prove itself worthy. Another celebrity chef, Antonio Carluccio has just opened another Italian restaurant in the vicinity, in fact very close to Jamie Oliver’s own. He is starting out with quite a competitive spirit, mind you. 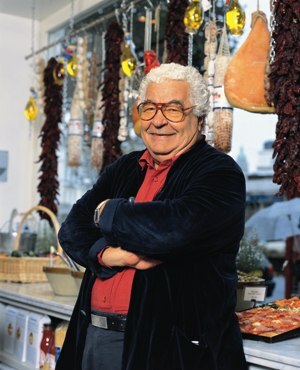 During the launch of his Italian diner at St. David’s Centre, Carluccio sent out a message to his rival saying that Oliver’s restaurant “isn’t real Italian.” Strong words, aren’t they? And, if the feedback from the customers is any indication, Carluccio just might give Oliver a run for his money. According to Simon Kossoff, Carluccio’s partner and the managing director of the restaurant, their customers have indeed been saying that they are the “real deal.” And all this within a week of the opening! Obviously, I have not had the honor of dining at Carluccio’s new restaurant, but I wouldn’t mind giving it a try. The prices do not seem too bad as well, with an average meal (including wine) costing about ₤17. This is another strong point in favor of Carluccio – they say that people are quite happy with the price as well as the quality of the food. With the trend in Britain shifting from a fascination with French food to Italian food, no one will be surprised to see this new place flourish. I wonder what Jamie Oliver has to say about it all?